IN this picture, Chris is a tad confused, because someone has broken into his music room with a camera. Chris trained at RADA as an actor, and has acted both on stage and on TV. He's also an award-winning writer, having written both plays and songs for theatre. He's also a theatre director. Scroll down to see what he's up to at the moment, listen to some of the music.. 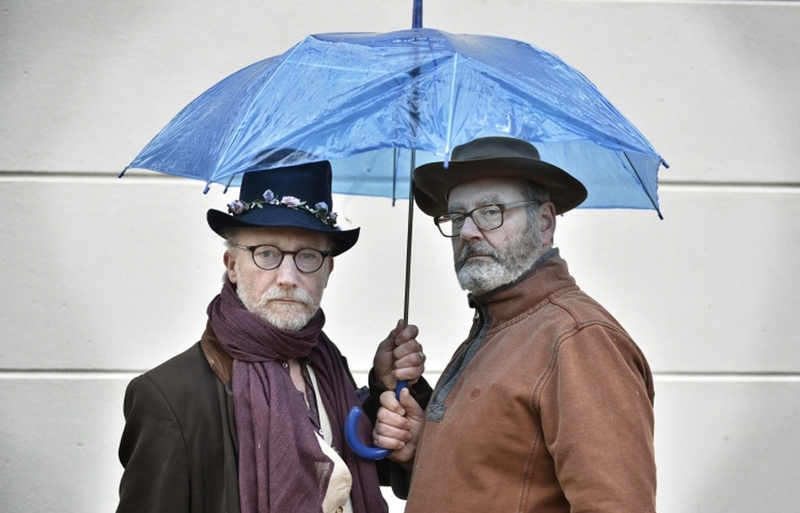 In the year (2018) of Spike Milligan's centenary, Larner and Jeremy Stockwell celebrate the great goon. In 90 minutes of slapstick, nonsense, sketches and songs, they explore his legacy and how he changed the world of comedy forever. 17th, 18th, 19th August 2.05 pm Pleasance Courtyard Below, venue 33. Limited availability. Since graduating from RADA in 1979, Chris has worked extensively on stage; work includes Mad Hatter in Alice In Wonderland (RSC); Wind in the Willows (National Theatre) and on screen playing 'Clingfilm' in London's Burning. Chris also wrote songs for a number of shows for the legendary 'The Right Size' Stop Calling Me Vernon, Do You Come Here Often? Bewilderness. 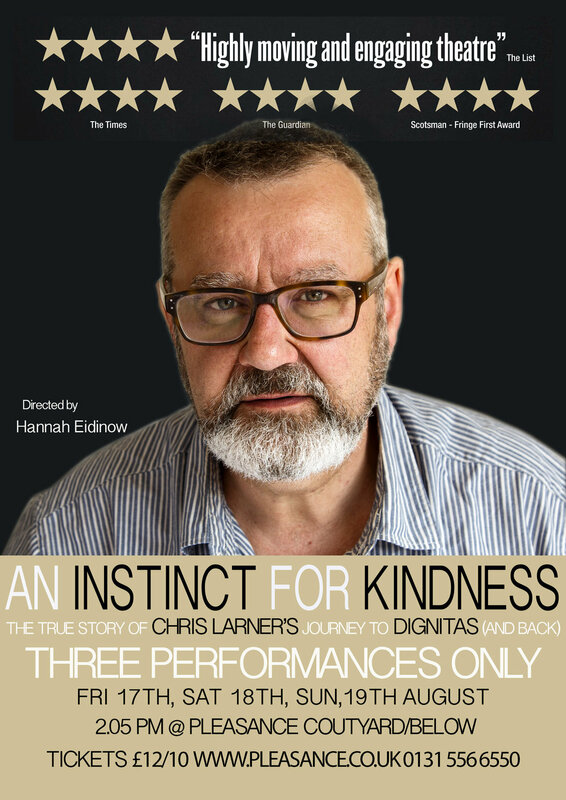 In 2011, Chris first performed his acclaimed show, 'An Instinct for Kindness' at the Edinburgh Fringe winning a Fringe First Award. 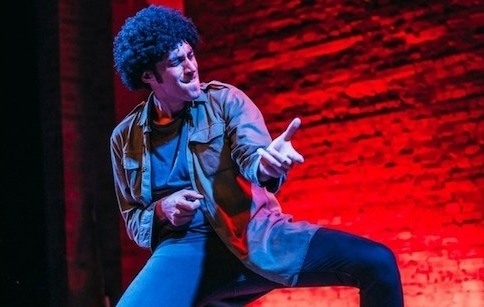 He went on to tour the UK and perform at Trafalgar Studios in the West End. Chris has also provided music for many productions like the Miser (Garrick Theatre, West End 2017), Barry and Angelos: New Power Generation (Soho Theatre 2017), Michael Morpurgo's Pinocchio (Workshop 2012) and Nina Conti 'Evolution' (2018). Chris is also available as a freelance director having worked numerous times at Mountview Academy of Theatre Arts on shows like 'Brezhnev's Children' and 'Oh What A Lovely War'. He has also written many shows including, 'The Translucent Frogs of Quuup' starring Rosalie Craig (The Light Princess, Company) which transferred from the Edinburgh Fringe to the Ambassadors Theatre in 2004. Other musicals include, 'On The Island of Aars' starring Laura Main (Call The Midwife) which was nominated for five MTM Awards, 2008. Chris has co-written shows with many people like Rob Mountford for, 'Vagabonds' (Edinburgh Festival 2015, Dublin 2016), Simon David for 'Virgin' (Edinburgh Fringe 2018).